I don’t love running, but I do it to stay fit so I can tackle epic hikes and simply feel better day-to-day. I consider myself a runner even though I am slow. In December 2014 I ran my first half marathon, and I ran my second the following March. The feeling of accomplishment gives me a better high than a runner’s high. For my first half marathon, I trained for three months. It was well worth it when I crossed that finish line. 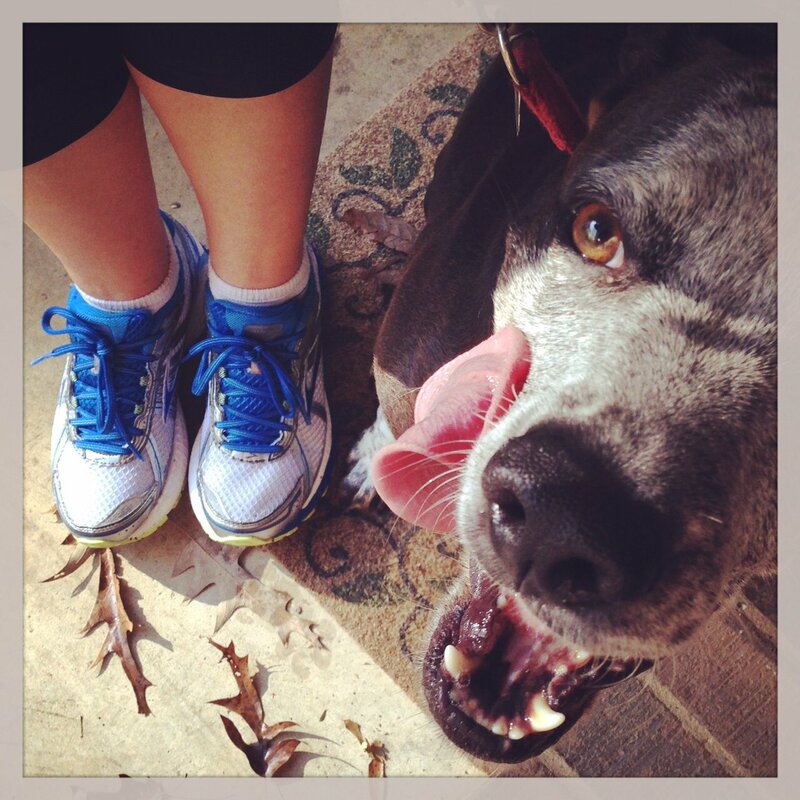 I also have a very active dog, a Catahoula, who needs lots of exercise and running helps keep her in line. I run with Caddie, my dog, in circles in my neighborhood, and unfortunately there are no sidewalks so we have to run on the road. Even though I live in a safe part of town, I still take safety precautions. Although there is no fail-safe way to assure safety, these are some safety measures to do to give yourself a little protection. 1. Always tell someone where you are going, and when to expect you back. If something does happen like you hurt yourself or you go missing, it is better for your loved ones to be able to say, “She went running and should be on these streets,” than playing detective to find out where you might be. 2. Get hooked up with a running group, or partner with a running buddy. This is one I actually do not follow. With my work schedule, it is hard to find other people who are available to run with me. I also enjoy the time to my self and the opportunity to tune out my world. However, if you do chose to go alone, see number one. You could say my running buddy is my dog, who is protective of me. I also run with my sister when she is in town. 3. Make friends with your neighbors. First of all it’s polite, and nice to get to know your neighbors. You can meet some interesting people. Second, the more friendly you are with them, the more likely they are to remember seeing you if something were to ever happen to you. 4. Wear clothing easily visible to vehicles. I am not a big fan of the bright 80’s colors that seem to be in style these days, however I am a fan of being seen by drivers on the road. Caddie even has a reflective vest she wears when it is dawn or dust or foggy. In the dark wear flashing lights to make you more visible to vehicles. I run with music, but I keep it low enough to hear my footsteps on the pavement. In my neighborhood, where there is no leash law, this is also important so I can hear dogs running up to me. I try to avoid the busy roads, but when I do run on them, I turn the music down even lower so I can hear the vehicles that come up behind me. I use a running app on my phone, but it’s also wise to carry it with you in case you need to call for help. In 2005, I was walking my dog when another dog came running at me and broke my leg. The dog wasn’t mean, but it did run right into my leg, causing it to break in two places. I was able to call 911, as well as my friend and mother, who was 190 miles away, to listen to me scream. I also like to map my runs to help me meet my personal goals. But you really should post the routes you always run to Facebook. You never really know who is watching online. I hate the fact that as a female we have to be more cautious, but it always better to do as much as you can to insure your safety. It is not just crazy people you have to worry about either, there are drivers that don’t pay attention, angry dogs that can attack, or simply tripping and falling. But I don’t let these fears control me, I do what I can to prevent them and trust God to take care of me.